Don't risk breaking your glasses while playing sports! Get eyeglasses made to withstand your lifestyle! Don't risk breaking or scratching the eyeglasses you use for work, driving, and night outs. Our performance frames will enable you to go further and look great! 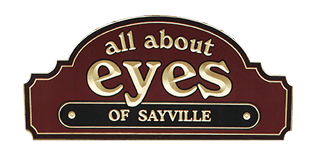 Visit All About Eyes of Sayville today!